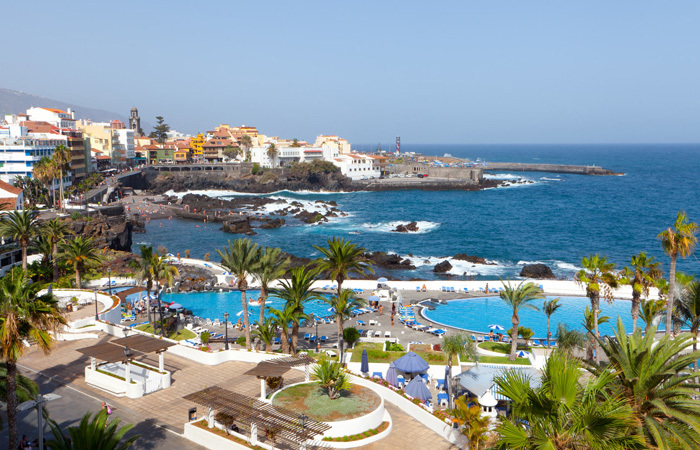 The hotel is located on Avenida Colón, the seafront promenade, in the heart of the tourist centre of Puerto de la Cruz and in front of the Lago Martiánez saltwater pools, within walking distance of a wide range of restaurants, bars, shops and leisure spots in a privileged setting with views of the Atlantic Ocean. 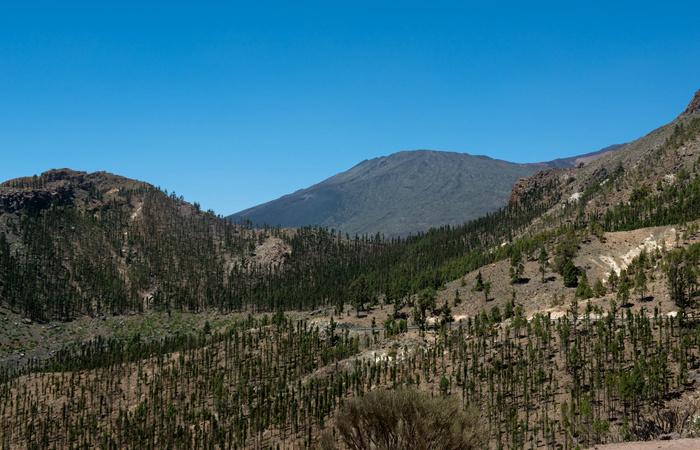 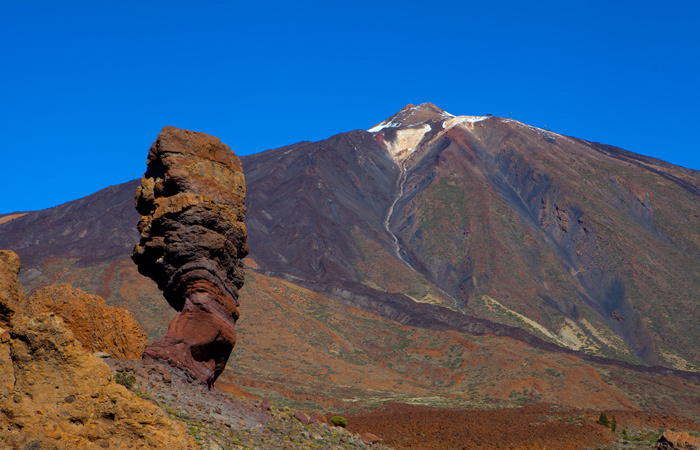 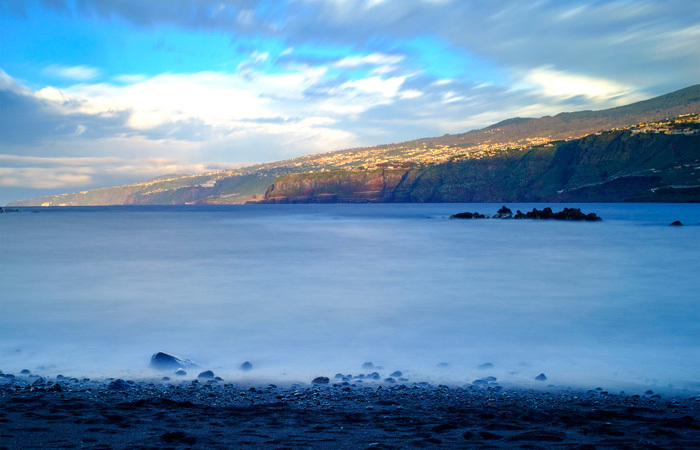 Puerto de la Cruz, the island’s second most important city, is located in the north of Tenerife, next to the towns of Los Realejos and La Orotava, at the feet of the valley to which the latter gives its name. 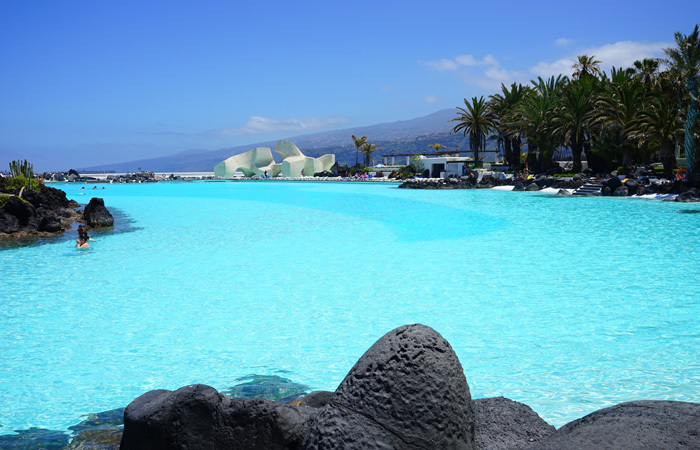 Thanks to its perennial spring climate, with an average yearly temperature of 75ºF (24ºC); its stunning beaches and the city’s friendly and lively atmosphere, Puerto de la Cruz is a dream destination where you can enjoy a holiday with sun, relaxation, sports and culture at any time of year.